Hoanh Tran and Archie Pizzini met at graduate school in Texas. There, they quickly became friends connected by their love of spending long hours in the studio. “There was a core group of us who just never went home,” Archie remembers. Hoanh transferred out to Columbia University after a year, but he and Archie’s other friends in New York easily persuaded him to move there too once he’d completed his program. For the first three months, Archie secretly stayed in their dorm signing in under the names of illustrious architects—like Mies Van der Rohe and Frank Lloyd Wright—to avoid the suspicions of the security guards. Hoanh finally returned to Ho Chi Minh City in 1995. 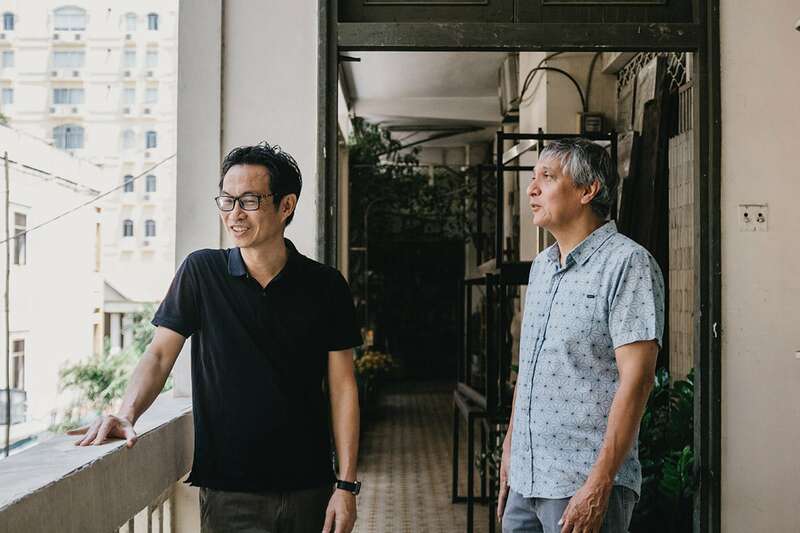 Ten years later, he extended another invitation—for Archie to join his Vietnamese architecture firm HTA, Hoanh Tran Architects. Archie agreed and the company became HTA+pizzini. Lately, they’ve been preferring the name HTAP. Can you introduce each other for us? Hoanh: This is Archie Pizzini. 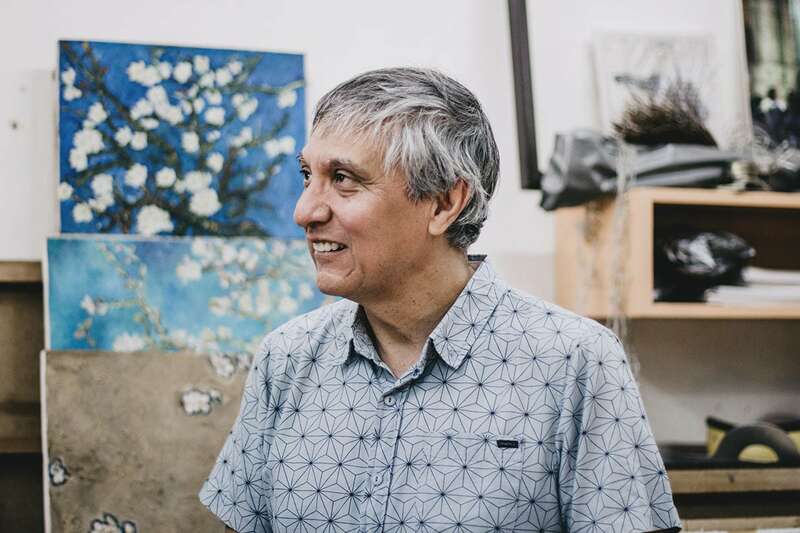 He’s an American artist and architect who originally studied at Rice University but who pursued his Master Of Architecture at the University of Houston—where I also spent a year—before completing his Ph.D. at RMIT Melbourne. Today he designs, teaches, researches, takes photographs and writes. I asked him to join HTA, to work on our Vietnamese architecture projects, a year after it was founded. Archie: Naturally, I jumped at the chance to join Hoanh here in Ho Chi Minh City. He was born in Vietnam but raised in the US where he studied architecture at SCI-Arc (the Southern California Institute of Architecture). He spent a year with us in Houston, before going to Columbia University, New York. Today, Hoanh designs, teaches, researches, and writes too. How would you describe your architectural style? Archie: We do have a process in which we observe carefully and try to understand a project’s context deeply. We produce designs, find their limitations, and produce new iterations. In this way, we build a more detailed understanding of what is the best solution. How do your approaches to design complement or contrast with each other’s? Hoanh: Lots of practices have two or three partners, and usually each partner is in charge of a different type of work—one will be the designer; one will be the office manager; one will focus on public relations. Both Archie and I are designers—we’re at our best in the design process. Archie: My conception of what happens is that while Hoanh and I are very parallel in our thinking, we’re not exactly the same. That’s actually very useful because one of the pitfalls I’ve seen in design is when a designer has an idea and just goes ahead and runs with it to completion. What you often get in those instances is a project with a very “dead-on-arrival” feeling to it. What Hoanh and I do is we bounce ideas back and forth which actually knocks us off course in a very constructive way. What do you feel you do differently to other Vietnamese architecture and interior design companies? Hoanh: I think there isn’t a HTAP design “signature.” You couldn’t guess that a project is by HTAP just by looking at it. We are idea-oriented designers—since we are also academics, we try to integrate ideas into our practice and our projects are context specific, all of which helps us to produce our unique designs. Having said that, we have our favorite materials and colors and forms, and so there can be a slight resemblance between projects. Also, Archie and I do not delegate concept design work to our staff. We feel that the concept is the most interesting thing; it’s the most important phase. Once we have completed that, then we work with our staff on design development and construction documentation. 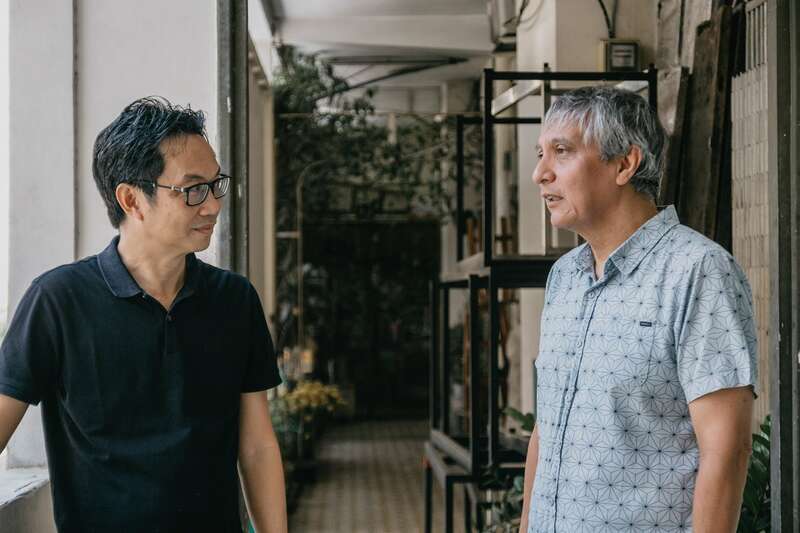 Archie: We also have an intimate knowledge of Vietnamese architecture and its cultural, sociological and historical structure—we explored this in our individual Ph.D. processes. 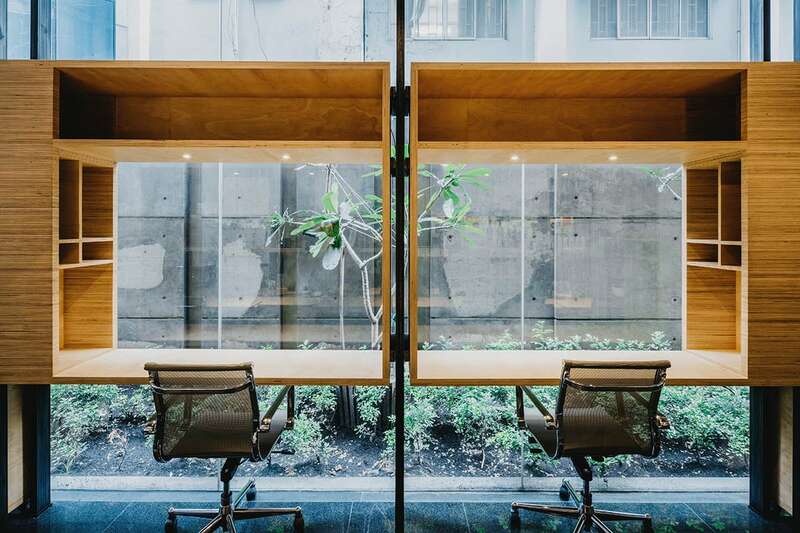 This helps us to carefully embed our Vietnamese architecture designs into their environment. Which of the projects you have completed best define you? Archie: We have several Vietnamese architecture projects that reflect the successful implementation of our design process. However, they don’t look that much alike to me. 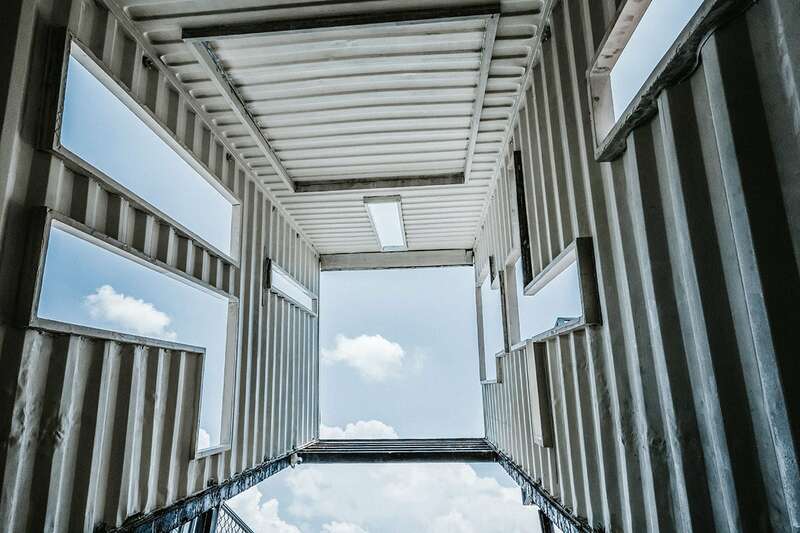 The Factory Contemporary Arts Center and its “container village” is one; the recently closed Galerie Quynh on Dong Khoi Street is another. What is interesting about these two designs is that they are both contemporary arts venues, yet they have very different forms due to their different contexts which strongly reflects our architectural process. Hoanh: I would also choose Galerie Quynh. Sadly, it was demolished a few months ago, but I’m selecting that Vietnamese architecture project because it represents a successful integration of ideas and practice. 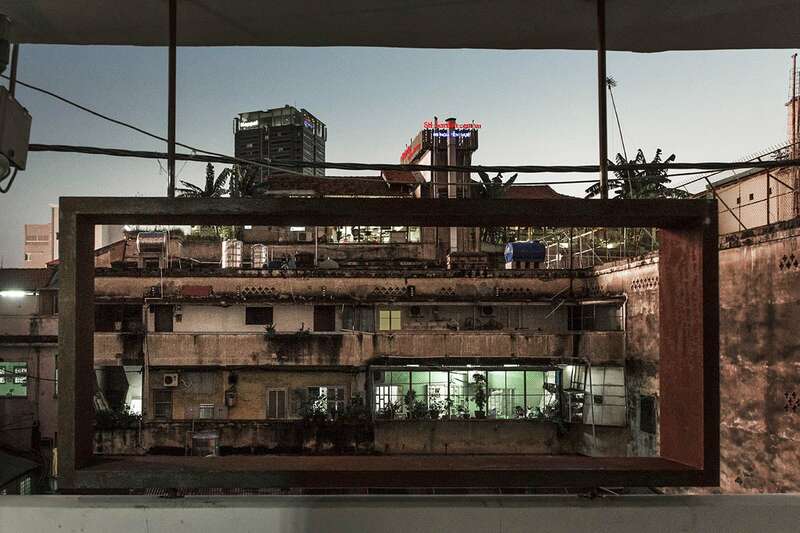 The idea was that the gallery would act as an instrument that framed Saigon allowing viewers to observe the city at the same time they observed the art. In practice, the lenses of this device were the portals that we designed made of rusted steel that were built into the space. You recently completed the design of the new Rice Creative office. How did that project come about? Is there pressure producing work for other designers? Hoanh: We asked Rice Creative’s founders Joshua and Chi-An to design a book of our projects soon after they founded the company. Unfortunately, we never published that, but when Archie and I were preparing our Ph.D. books, they helped us with the layout. 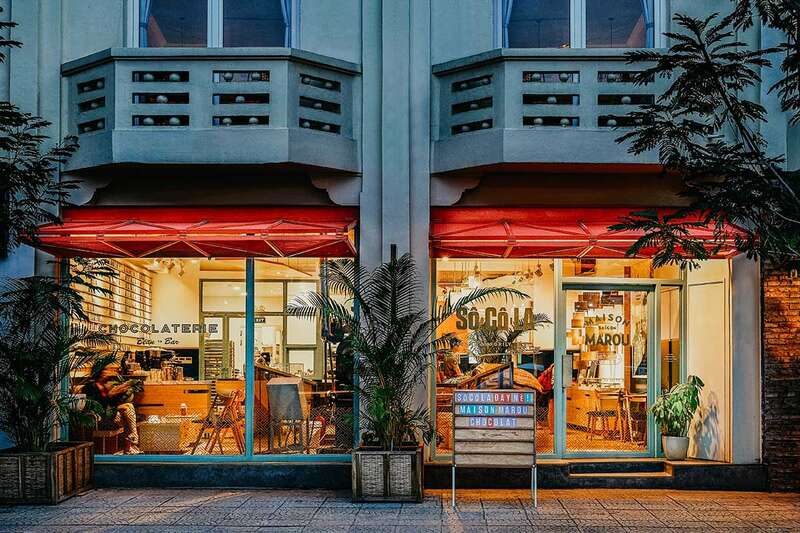 Then Rice introduced us to Marou Chocolate and we collaborated with them on the interior design of their Maison Marou, Saigon. Archie: Rice Creative have always impressed us with their serious, thoughtful approach to design. This particular design happened quickly and was expedited by their strategy of providing a lot of great input, but carefully leaving a lot of space for us to do our part of the design process without putting aesthetic pressures on us. They provided some positive input but left it to us to make architecture out of it. Hoanh: I feel more pressure dealing with less-informed clients. With designers like Rice, we speak the same language, and we have the same set of standards, so maybe that helps. How important do you think design is to our daily lives? 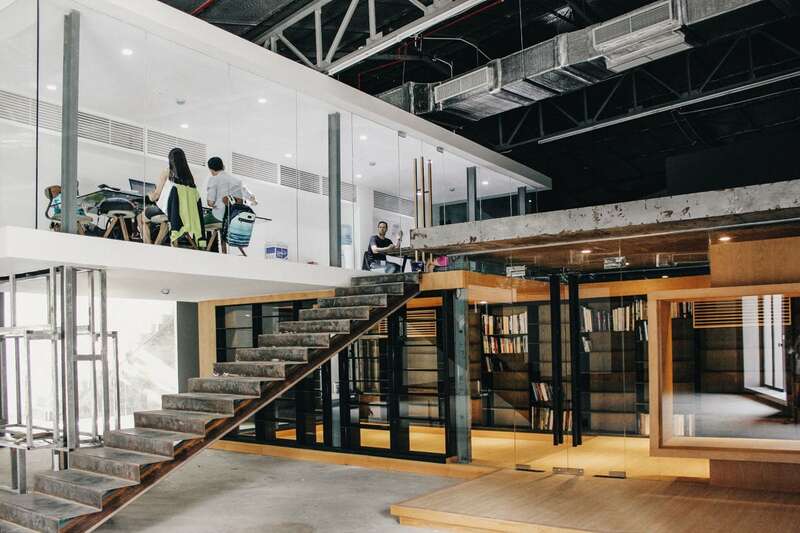 How can the spaces we inhabit promote productivity and creativity? Hoanh: Good design functions well and looks good. Imagine life without those two qualities—it just wouldn’t be that interesting. Archie: For better or worse, architecture and interior design shape people’s actions and so design comes with a responsibility that must be taken very seriously. That is why careful observation and developing a deep understanding are important to the production of any design. Hoanh: Space affects people differently. There are people who are more productive in a neat and orderly environment; others perform better in a messy environment. Personally, minimalist spaces work well for me when I need to focus on my writing or when I need to think—an uncluttered space helps me to unclutter my mind. But when I am working on something like a model or a sketch mess motivates me to make things and to finish them. So, I like a clean office but a messy studio. Once completed, how do you measure the success of one of your designs? 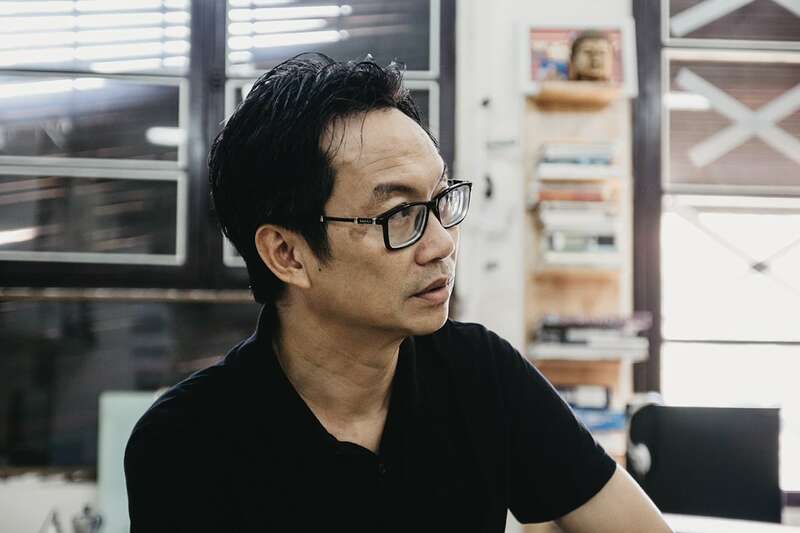 Archie: The measure of the success of a Vietnamese architecture design, or any design for that matter, is in how well it accomplishes what it was meant to do. Thinking about the project we completed for Rice Creative, how well do they operate within the space and how happy are the team members and principals within the space?